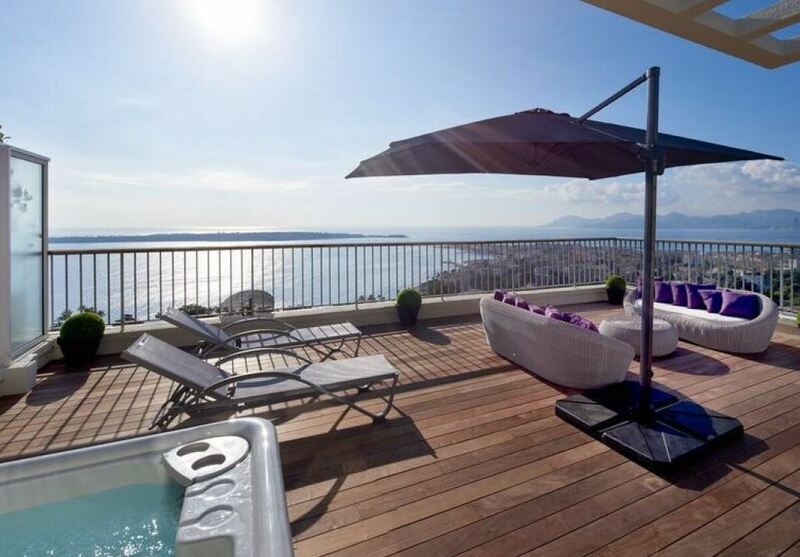 This beautiful south-west facing apartment is situated in the prestigious Californie region of Cannes. 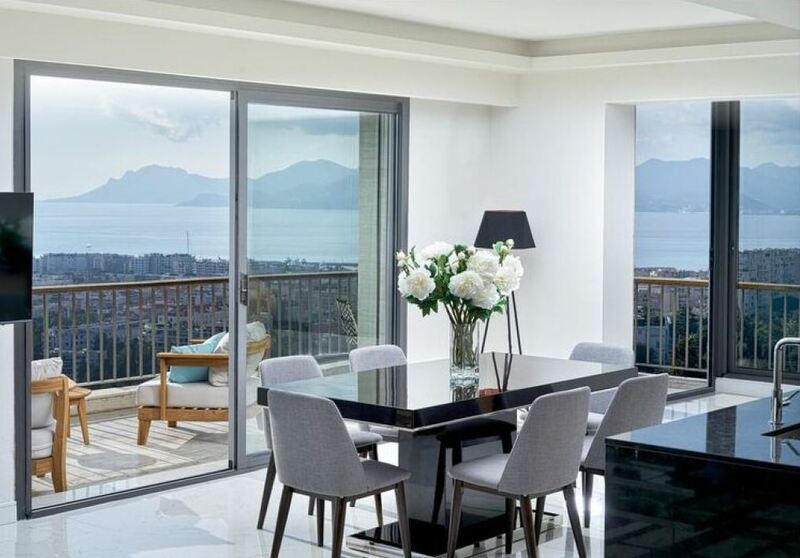 The apartment is on the 10th and 11th floor of a high quality building in a secure residence with a 24 hour security guard. 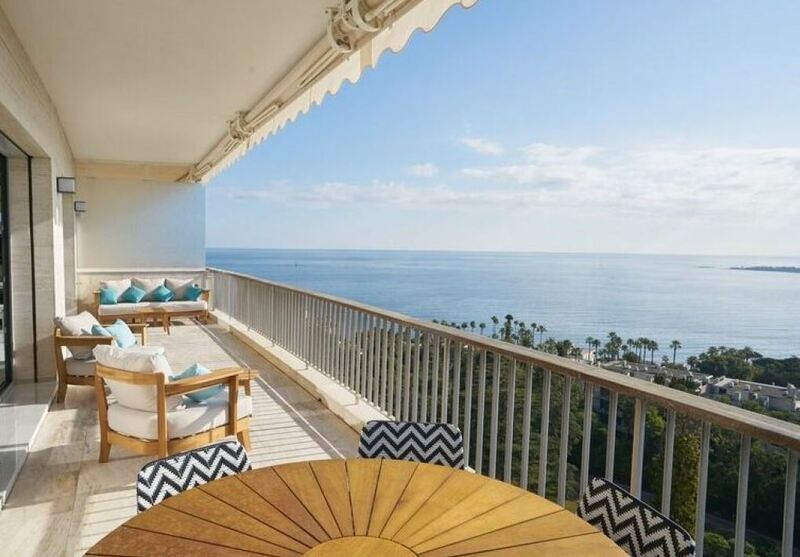 The property boasts stunning panoramic views of the sea as well as the grounds. 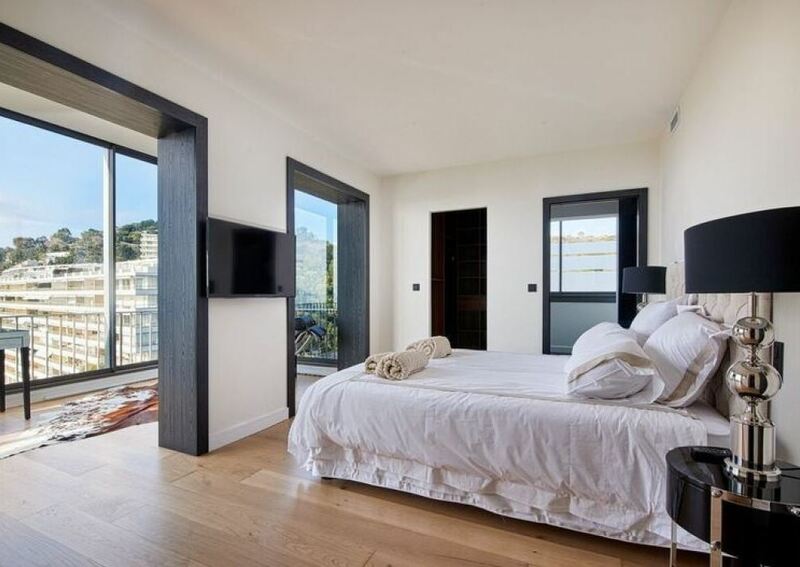 Guests of this fantastic apartment have access to a modern swimming pool, 2 tennis courts and a children’s garden. The apartment features spacious and bright interiors with a double living room with a plush sofa for 6 people and a flat screen television. 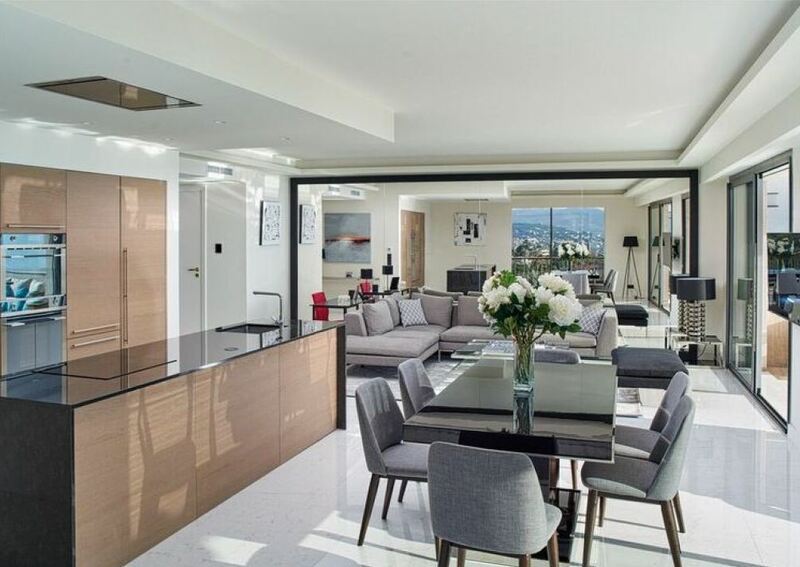 The stylish dining area can accommodate up to 6 people with a fully equipped American style kitchen to accompany it. On the 10th floor, the master bedroom includes a sumptuous double bed, his & her wardrobes and an elegant en-suite bathroom. A generously sized closed terrace leads out from the bedroom. 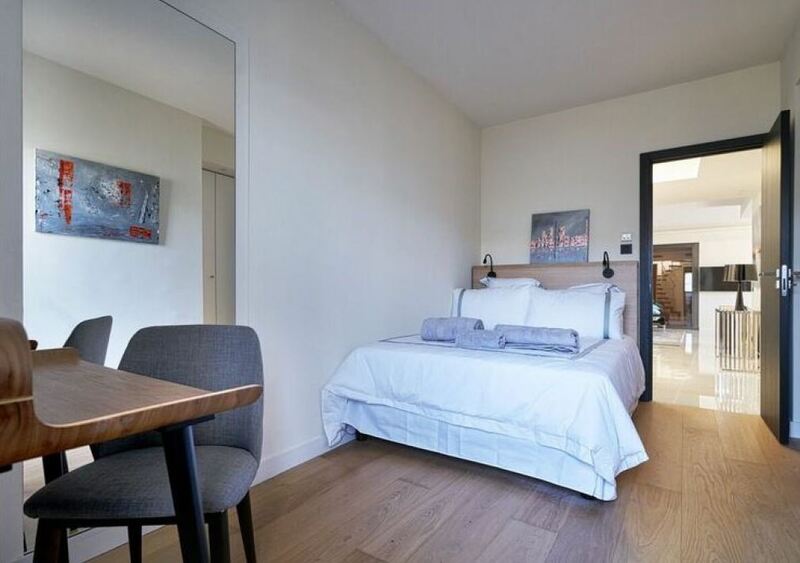 An additional double bedroom is featured on the 10th floor with a double bed, desk corner and an en-suite shower room. 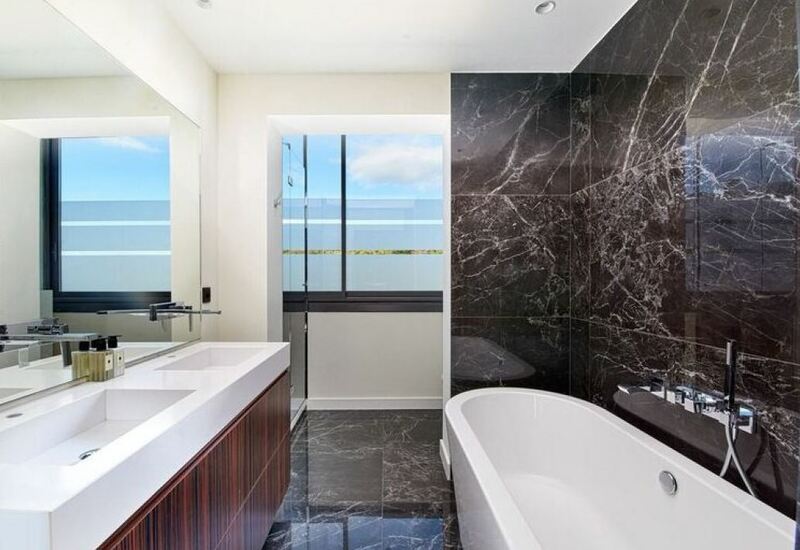 The 11th floor features a 3rd bedroom with an en-suite shower room. The spacious terrace is also featured on this level and is the best place for guests to fully appreciate the spectacular views. The summer lounge and kitchen allow for the perfect al-fresco dining opportunities in the Mediterranean sunshine. The multitude of sun loungers and the luxurious outdoor Jacuzzi provide plenty of sophisticated relaxation for all guests. 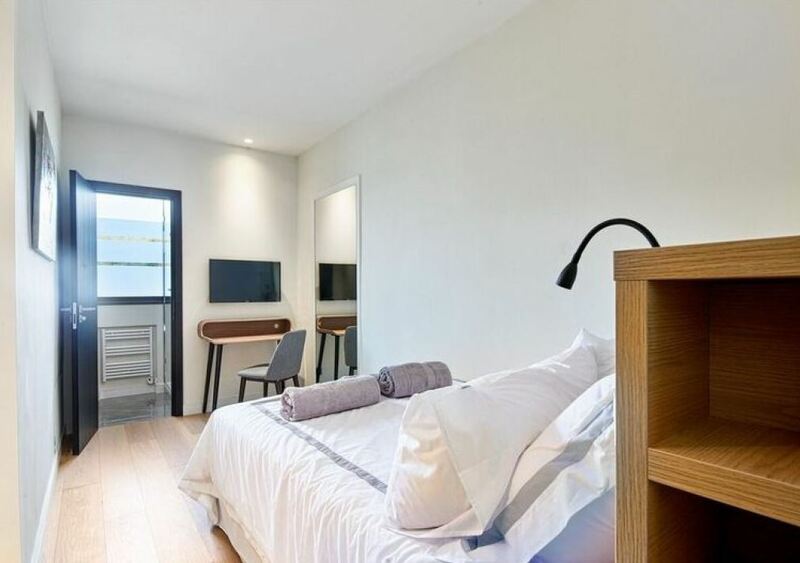 An independent studio is located nearby to the building containing a double bed, a desk corner and an en-suite shower room.